Many years ago, my cousin and I installed an outdoor security camera at his farm to monitor the presence of predators. It was an archaic, box-type camera with a wide angle fixed lens and a resolution so low and pre-dated the year the term “megapixel” came into use. Since that time of predominantly black and white surveillance cameras, the technological advancement of the current crop of surveillance cameras has been nothing short of amazing. Today, they are still designed in boxy configurations but other shapes have evolved like domes, bullets and even concealed ones in the form of discreet surveillance cameras. For that particular time, there was not much to choose from because the black and white camera with a fuzzy resolution was the “top-of-the-line” then. Images taken under daylight conditions were fine but the resolution dropped drastically as fast as the setting sun. Captured images under dim light were so fuzzy that you wouldn’t be able to distinguish between an intruding deer and a dog. In stark contrast, today’s surveillance cameras have optics so advanced that it would be possible to read a dog tag under moonlight if the dog had one on his collar. The surveillance cameras that have flooded the market for the year 2018 are all so technologically advanced that the mere choosing of a specific model that would meet your requirements has become a tedious, confusing and frustrating chore. The evolution of the surveillance camera within a span of two decades has been phenomenal and many models actually have superb night vision capabilities. What started out as rigidly-mounted boxy contraptions with fat cable wires attached to it have evolved into marvels of design that offers a varied menu of functions at the same time. Looking back, the technological innovations available today would have been mere fragments of the imaginations of designers past. As technology advances, so does the difficulty level of understanding gadgets for the average consumer. The escalating difficulty level is true for the new breed of cell phones, DSLR cameras and even automobile electronics; it is just as true for surveillance cameras. The wide range of choices available in the current surveillance camera market is enough to confuse anyone who is contemplating to install a personal home security system. If the many different brands and models from which to choose from weren’t confusing enough, the different camera housing configurations, capabilities, accessories and such further worsens an already frustration situation. To help ease your research burden, I wrote a series of “how” questions to help you arrive at your own product choice conclusion and enable you to make that prudent choice. This as you would expect from us is an EPIC post so grab a coffee before you start and see how we cut through every product and review it with precision. IF YOU ARE SHORT ON TIME and need to know the results of our reviews , CHECK THE RESULTS TABLE BELOW! Coverage - How much do you want to see? The early surveillance cameras had very limited camera coverage and were usually rigidly mounted. They were also quite useless under low light conditions, bulky and recorded in black and white. Buying a surveillance camera during those days was quite easy because there weren’t many models to choose from. There were hardly any available options to choose from either to make a purchase decision difficult. Well, those days are long gone. Nowadays, there are so many available surveillance cameras in the market that a buyer has to have some technical savvy to make a judicious choice. Either way, among the basic questions a buyer needs to ask is what kind of camera coverage do I need? Will one unit be enough? Do I cover the front door as well as the back? Am I better off buying a surveillance camera with the capability to pan to double the area of coverage? Is it only at night when I have security problems? If yes, do I need a surveillance camera with infrared capabilities? Should I opt for a unit with thermal imaging? The modern surveillance cameras have gotten so sophisticated that merely going through the maze of the many available features will drive the buyer batty. My suggestion is to take time to sit down and make a list of what you want to accomplish with a surveillance camera. After you are done with your list, go through it once more, after which your options and choices will be that much clearer. Video / Image Resolution - How clear an image do you want the surveillance camera to record? The early black and white surveillance cameras were blocky, rigidly mounted cameras with very limited low-light capabilities. The camera lenses used then weren’t as advanced as the optics used today and under dim light, fuzzy images was all the camera would record. Well, those days are long gone and the range of surveillance cameras available in today’s market is staggering. Anyway, the first question the buyer should ask himself is “when do I need the camera to record”? If the camera is to be used strictly under daylight conditions then there isn’t much research involved in choosing a suitable surveillance camera because the majority of cameras available today record clear images under well-lit conditions. 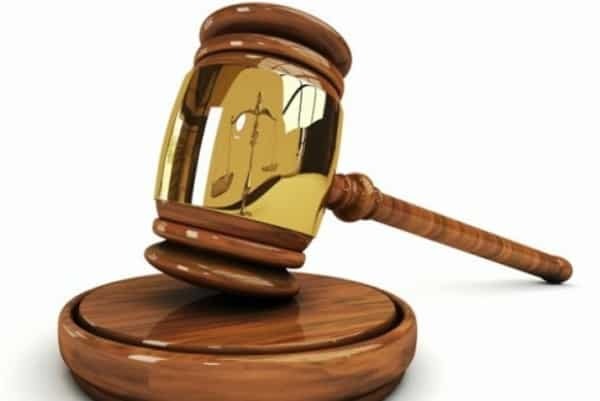 However, the reality of the situation is that surveillance cameras are needed more after the sun sets - when criminal activities are on the rise. So really, by force majeur, a buyer almost needs to buy a camera with low-light image-capturing capabilities. Night Vision - Do you need to see clear images at night? In most cases, the question is moot. The general consensus is that intrusions, burglary and other crimes almost always happen at night while under cover of darkness. Unless you can afford to pay exorbitant utility bills and ring your house perimeter with flood lamps, your only other option is to purchase a surveillance camera with night vision capabilities to secure your home with. The most frugal way to go is by purchasing a surveillance camera with a decent lux (illuminance) rating. If a unit like that does not meet your requirements, you may opt for one that has infrared capabilities. Keep in mind that when a camera is on the infrared mode the images generated are in black and white. So if color is important for your security requirements, such as capturing the color of a getaway car for example; the infrared mode is not for you. At the most expensive end of the spectrum you find surveillance cameras with thermal imaging capabilities. These units are typically not meant for ordinary security requirements and may be stricken off your surveillance camera choices list. Camera Style - What type and style of surveillance camera do you need? To some degree, this choice boils down to aesthetics rather than surveillance camera performance. In a nutshell, what appeals visually to a consumer has a certain amount of bearing on the final choice. Other factors come into play like physical ease of installment, size of the housing and the unit’s harmonious design with the environment. Surveillance cameras come in many forms – box types, ovoids, tubular or bullets, domes and so on. The consumer must also be aware that certain designs limit a camera’s possibilities; for example, a dome camera, by it’s very design, will unlikely be utilized as a PTZ (Pan, Tilt, Zoom) camera. Wired or Wireless - Do you want to go wired or wireless? During the infancy of the surveillance camera, the consumers did not have much choice other than to install wired camera systems. There are still a wide range of choices for wired surveillance cameras and their installation limited only by the length of the wire they come with. When installed outdoors, it is wise to provide additional shelter for the wired units from the elements. Most common water seepage occurs where the wire penetrates into the housing. I remember sometime back when my cousin lost video images; when we inspected the camera, rodents had crewed right through the wire. Of course wireless units would not have rodent problems even when installed in barn, for example. Anyway, to keep the choices simple, wired units usually tap into a power outlet while the wireless ones are battery-dependent. In case of power outage, the wired units cease to work. When the rechargeable battery goes flat, the wireless units are useless. Maybe you need a surveillance camera that can be installed either way? Storage / Memory Capacity - How much memory do you need for the surveillance camera? For the average consumer, the built-in memory storage capacity on most of the available surveillance cameras is sufficient. In any event, adding more memory is almost as easy as changing a memory card on a cell phone. Storage capacity is as easy as attaching a hard disk to your base station or requesting (and of course paying for) for additional cloud storage space. Pan / Tilt / Zoom - Do you want to buy a stationary surveillance camera or one that is capable of PTZ (pan, tilt and zoom)? This is a tough question to answer because it requires a thorough assessment of individual security requirements and available budget. PTZ (pan tilt zoom) cameras are logically more expensive since they require additional electro-mechanical inputs to make them execute robotic movements by remote control. It must likewise be noted that PTZ units have more moving parts and relatively more maintenance is required. Stationary cameras, on the other hand, require very little maintenance but are not equipped for distant video coverage or sweeping panoramic video recordings the PTZ cameras are known for. Power Source - What kind of power source do you need? 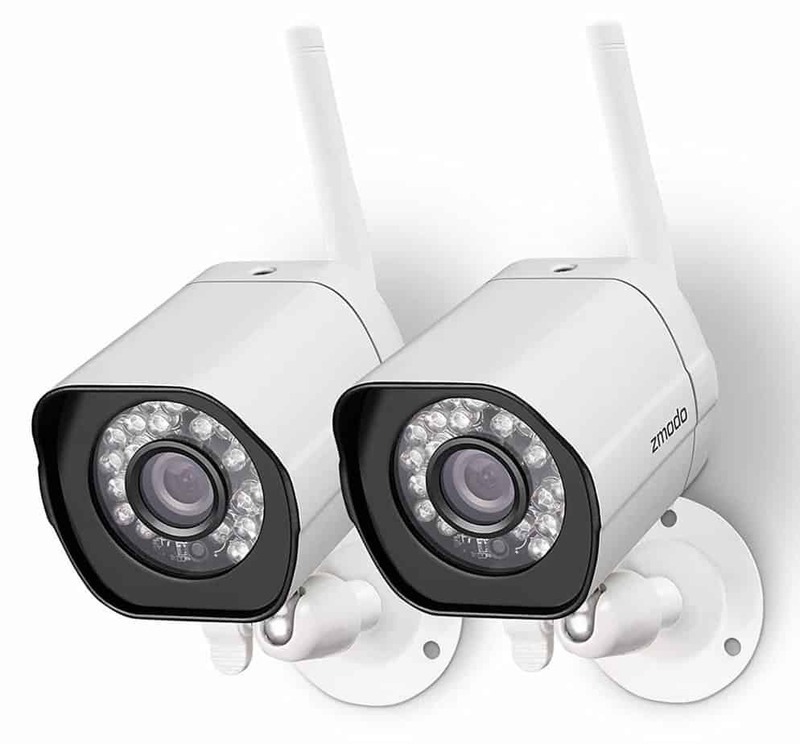 On the average, wireless surveillance cameras are more expensive than its wired counterparts. They are powered by rechargeable battery packs and without wires to disable the camera with, is less susceptible to tampering. Battery powered surveillance cameras also come in handy during untimely power outages. Wired cameras are typically less expensive than wireless units and installation is sometimes handicapped by the length of its power cord. Again, having exposed wires makes it easier for intruders to disable the surveillance camera. If your budget allows it, the best of both worlds would be to purchase a surveillance camera which can be installed wired or wireless. Your Budget - How much should you pay for a surveillance camera? The amount you spend on a surveillance camera is directly proportional to your security needs. The best way to arrive at an intelligent decision is to make a list of your security requirements such as area of coverage, night vision, color image requirements, storage capacity etc. This will enable you to narrow your selection to just a few surveillance camera models. As a complete package that satisfies most home security requirements, the Arlo Pro 2 gives the best value for your dollar. I personally find the smooth, ovoid design to be quite elegant and with the dimensions of just 3.1 x 1.9 x 2.8 inches, the camera is quite unobtrusive when mounted. The camera body attaches to a separate magnetic concave cradle, allowing the camera body to rotate freely on the cradle. Eight night-vision infrared LEDs form a ring around the lens and sets off a pleasing contrast against the black face. As an indoor/outdoor surveillance camera, the Pro 2 is weather resistant and is IP65 certified. However, it is always best practice to mount surveillance cameras where they have an additional amount of shelter. The Pro 2 may be installed as a wired or wireless camera unit. In the wireless mode, the surveillance camera is powered by a rechargeable 2440 mAh battery. Back up batteries are readily available for the unit and it is good practice to purchase another one after some extended time of camera use. Of course there is always the option of switching the installation to wired but the length of the power cord may be a hindrance. Survey your camera mount placement and make sure you can switch from wireless to wired without having to buy extension wires. There is also an available solar panel power accessory for this surveillance camera unit. The Pro 2 1080p video captures clear images and the 130-degree field of vision is suitable for most surveillance applications. The unit uses a quality glass lens that captures sharp, crisp images which are especially clear when viewed from an iPhone or Android phone. On the night vision mode, the Pro 2 captures images with good contrast and detail. There seems to be no difference in video quality whether the camera is installed as a wired or wireless unit. The Pro 2 comes with a built-in siren which is rated at over 100 decibels - that should be loud enough to wake a slumbering zombie. The alarm can also be triggered either by sound or motion. The siren on the Pro 2 can also be controlled remotely from your phone and sound and motion detection can be customized so that a mere stray cat does not set off the motion sensor. The default modes of the Pro 2 are Armed, Disarmed, Schedule and Geofencing. Geofencing is a nice feature - the surveillance unit senses when the boss’ cell phone leaves the premises and then activates itself. Conversely, when its sensors pick up the phone to be within close proximity, it shuts down and let the master of the house take care of surveillance. A definite plus for the Pro 2 is ease of installation. After accomplishing the physical installation, connect the base station to the internet. Download the Arlo application and then add the base station to it. After accomplishing that, the application should immediately find the device and will display a serial number for confirmation. To finish the installation, simply push the sync button on top of the base station and do the same for the camera unit. You’re done. The simple and quick installation is a big plus and the ease and flexibility of scheduling for the Pro 2 adds to the consumer appeal. Daylight video quality is excellent and the free seven-day cloud storage package is a bonus. Capping the nice features is the Pro 2’s geofencing feature. Only one device at a time can access Pro 2 and there is no video playback capability for mobile devices. That stray cat just may trigger the siren for the motion detection tools are quite hard to set up. If looks could kill, Arlo Pro 2 just killed my wallet. Besides being a well-designed surveillance camera, installation is also a cinch. Features like weatherproofing, image resolution, motion sensors etc., more or less approximate the capabilities of other brands but having the luxury of being able to switch between wireless and wired installation clinched the pick for me. Imagine the rounded, bottom half of a 3-inch diameter test tube – that’s what the housing of the Nest Cam Outdoor surveillance camera is shaped like. There’s a logical reason for that particular design - the rounded bottom of the camera housing is supposed to mate with a concave camera mount and held in place by magnetic force. Theoretically, this configuration allows the camera lens to rotate freely within its retaining basin but the power cord restricts its movement. The power cord that comes with the camera package is only 15 feet long and barely enough for most installations requirements. If the length of the power cord restricts optimum positioning of your surveillance camera, then you either have to buy an extension cord or have a GFCI (ground-fault circuit interrupter) outlet installed close to your intended camera mounting location. The Nest Cam’s 1080p camera is equipped with a 130-degree wide angle lens and captures crisp images and when it defaults to 720p, the images are acceptable as well. Ten IR sensors enable the Nest Cam to see in the dark. The camera, while stationary, has an 8x zoom which allows the user to enlarge critical details. 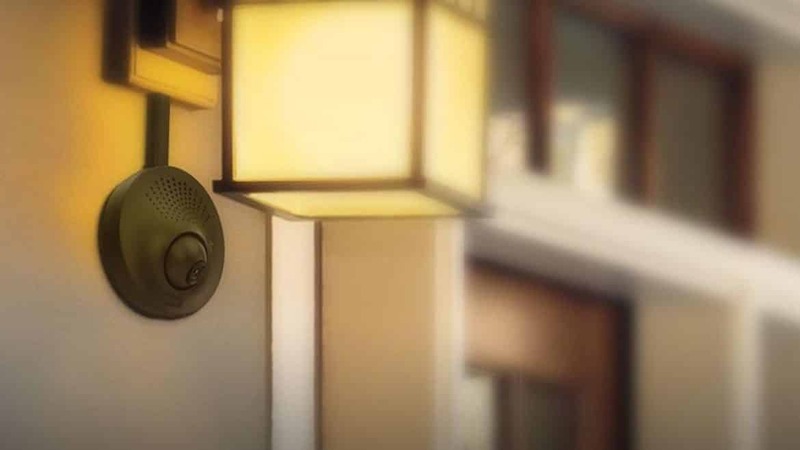 As an outdoor surveillance camera, the Nest Cam is IP65 certified; however the camera cannot be installed with the power cord positioned on top of the housing because water will seep into the unit. Another reason the camera cannot be installed right side up is that the built-in microphone and speakers are located at the bottom of the unit and susceptible to water seepage as well.. Both the iOS and Android phones are compatible with the Nest Cam and either one is alerted when the camera’s motion detector is triggered. Simultaneous to the tripping action, the unit begins recording and the images may stream live via smart phone. Note too, that the Nest Cam is capable of 24/7 continuous HD video recording and is smart enough to distinguish between people and random motion. Whenever the Nest Cam senses unwanted motion, it also sends out push notifications and email alerts. This surveillance camera packs a lot of desirable options for just under 170 dollars. The Nest Cam’s 1080p 30fps video camera takes clear images and when it defaults to 720p, the images generated are acceptable as well. It has night vision, motion detector and noise detector – basic features we want to have in our security cameras. The motion detector’s ability to distinguish between people and random motion precludes setting the alarm simply because of a random stray cat. At just under 170 dollars, the versatile surveillance camera secures the consumer’s home at a very reasonable price. Nest Cam as a wired surveillance unit is fine; I just find the power cord that comes with it a tad short and having to buy an extension cord or installing an additional outdoor electrical outlet may be a turnoff to potential buyers. Maximizing the potential of the Nest Cam such as 10 – 30-day video history, advanced motion detector, saving and downloading, etc. comes at a not-so-cheap- subscription rates. The capabilities of the Nest Cam surveillance camera as it comes out of the box is worth the money spent for it. Most property owners will be content with the range of surveillance coverage afforded by the camera unit and need not subscribe for extras. I would install it stock out of the box and sleep well knowing the unit will alert me when it detects either sound or motion. Maybe it won’t win the grand prize in industrial design but the Zmodo is handsome enough clad in its white housing. 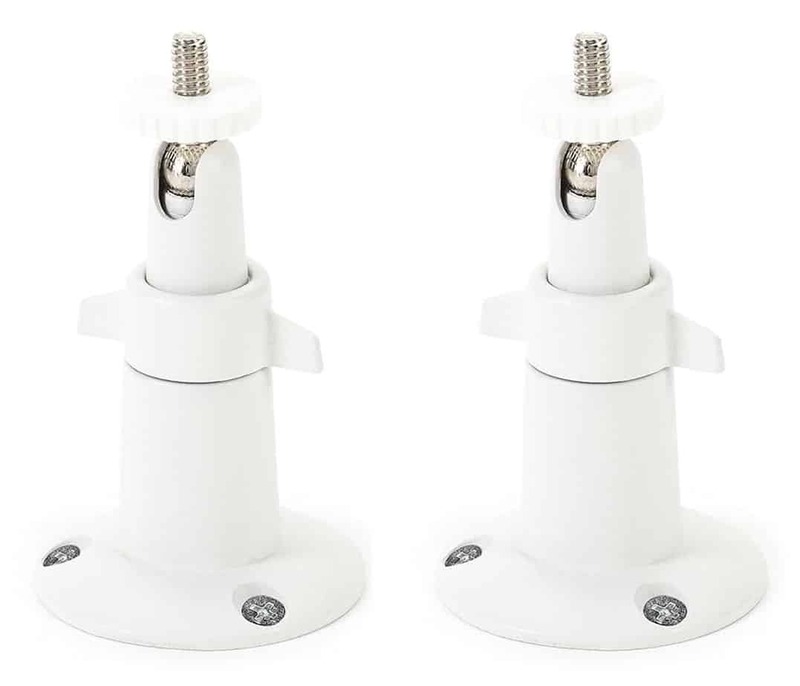 The camera attaches to a swivel mount with a round base plate that is vertically-mounted with 3 screws. Its WiFi antenna is prominent and reminiscent of the screw-on antennas of the older 2-way radios. The Zmodo is also IP65 rated so we can assume that it is dust-proof as well as weather-proof. The Zmodo is a wired surveillance camera unit which precludes the hassle of dealing with dead batteries; which is not an isolated occurence in the case of the wireless versions. The Zmodo has to be plugged into an outdoor outlet for it to work. Potential buyers should keep this in mind that possible installation of additional electrical outlets (outdoors, especially) will definitely alter your home security budget allocation. At around 30 bucks per camera unit however, the 2-camera Zmodo package may still be a bargain for most homeowners; additional electrical outlets not withstanding. The Zmodo records clear images that are comparable with other units available in the security camera market that sell at double the cost. Compared to the other surveillance cameras, however, the Zmodo has “tunnel vision” - having only 81 degrees field of vision. The security camera comes with 24 automatic infrared lights that gives it good night vision capability and captures images as far as 65 feet away. The camera’s sensitivity is adjustable and is a welcome feature when trying to record images under fluctuating illumination. The unit has the capability to be set up with motion zones but setting it up is quite hard that the feature might as well be non-existent. When motion is detected, the Zmodo sends push notifications and 5 still images to your smart phone, whether it be iOS or Android. A video recording feature is non-existent for you can only capture images when you push a button on the base station manually. Fat chance, for an intruder only comes around when there is not a soul at home. The Zmodo is quick to activate. After the physical installation, plug the unit in, download the Zmodo app, add your device and your surveillance camera is operational. For the available features that come with the unit, the Zmodo is one heck of a deal at $65. Even at just 720p HD, the camera records decent images, both still and video. When detecting motion, the Zmodo sends out an alert together with 5 still images to the user’s smart phone. In many cases, this feature alone suffices for typical household security requirements. Not only does the Zmodo not record events automatically, there is no Cloud storage available for the unit still. Motion events are also not recorded automatically and lack of audio is also glaring lack. Typical of wired surveillance camera systems, providing outdoor electrical outlets adds to the time and cost of installation. Would I recommend the Zmodo? If I were working with a limited budget, I would. The sight of the camera units alone is deterrent enough for most intruders and at an affordable price, my budget just may allow me to buy four cameras which greatly increases the scope of my surveillance. Sending me 5 still images on my smartphone when motion alerted is worth the investment, I think. Just like its Arlo cousins, the Arlo cousins, the NETGEAR is a design stand out. Again, the tiny and sleek ovoid shape should look good wherever it is mounted. The camera housing is weatherproof and the concave indentation on the end opposite the lens face mates snugly to the magnetized half-dome that mounts on the wall. Without wires to contend with, this configuration allows the camera to be set at any angle. The NETGEAR is a 100% no plug-in security camera and the power source is from 4 CR123 batteries which are nestled snugly under the camera unit’s housing. These batteries are similar to the ones used for digital cameras and are supposed to have 6-month lifetime. To not unduly drain the batteries when operational, Arlo has opted for 720p HD and image capture only when its motion sensor is activated. When some movement triggers the unit, it sends an email to its user in real time. The camera lens has a 110-degree field of vision but lacks in clarity for distant images. The industry average for capturing crisp images is 8m but the NETGEARS clear optic range falls under the limit. As if to compensate for this lack, the security camera’s infrared capability is above par, capturing images in almost total lack of light. 1 GB, or a seven-day rolling cloud storage comes with the security camera unit with storage subscriptions available you want to avail of more storage. The NETGEAR security camera is iOS and Android compatible and an app for secure, remote viewing while away from the home is available. Scheduling the camera’s operation is also enabled through the app, disabling the camera when the owner is at home and activates when the owner leaves the premises. The NETGEAR security camera is 100% cordless-free and makes possible the installation of the camera virtually anywhere. The design is very appealing, compact and the promise of a very lengthy battery life adds to its appeal. The infrared LEDs do a wonderful job at capturing images of barely-illuminated objects which is great; because that is exactly what security cameras are supposed to do. 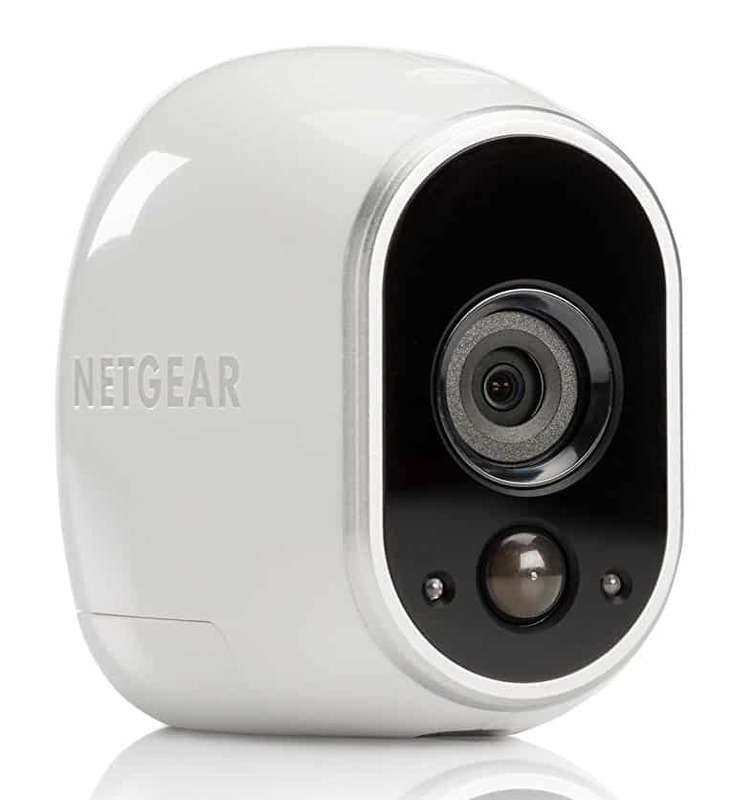 The NETGEAR security camera has no local storage and this may be a handicap especially for those who are regularly away from home for extended periods of time. The camera is not capable of a set recording zone – like focusing and isolating a door, for example. If only for the ease of installation, the NETGEAR security camera has my nod. The sleek design, excellent night time vision are all plusses but the main selling point, I think, is the ease with which the camera unit can be moved and mounted from security point to security point. If you are a history buff, you would be familiar with the B-17 “Flying Fortress” of WWII. On the underbelly of the plane there was a mechanical attachment called a ball turret gun from within which a gunner operated one, or a pair of machineguns. That turret shot bullets; the turret I am writing about takes pictures. 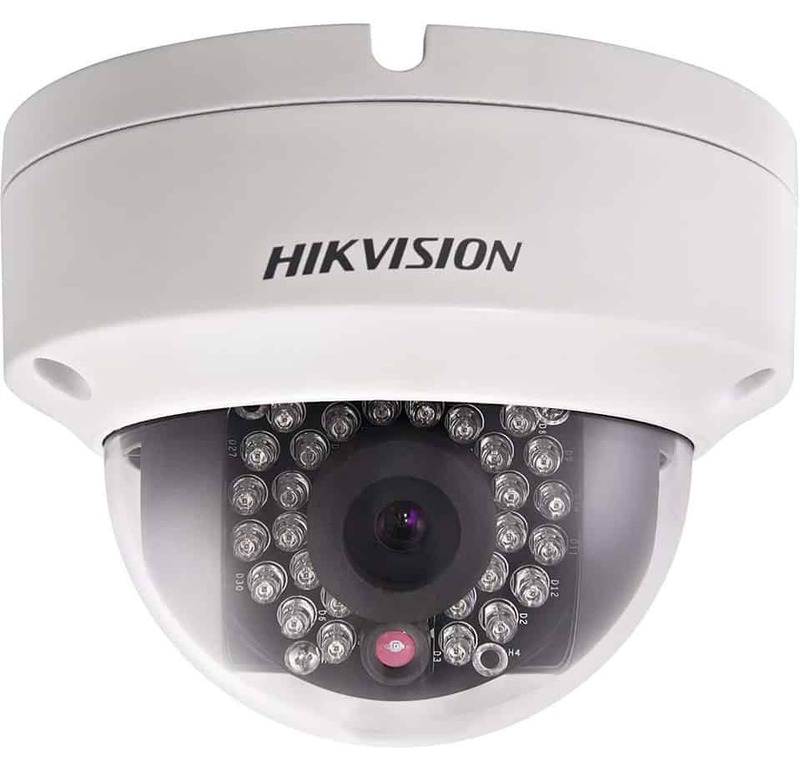 The Hikvision DS is a turret camera with a wide range of motion. It can pan up to 355 degrees and tilt from zero to 75 degrees. With such range of motion, video coverage of any given surveillance area should not be a problem. The turret is IP66 certified so exposure to the outdoors should not a problem except maybe for the occasional cleaning of accumulated grime on its protective dome. The camera has a 2.8mm lens which has a very wide field of vision and at 4 megapixels (2688 x 1520), the unit qualifies as an Ultra HD camera. Storing the HD images does not pose a problem because up to a 128GB SD may be used for storage. What poses a problem is when you have to install the SD because you have to literally remove the dome. I suggest you install the memory card simultaneous with your adjustments of the tilt and pan settings. With an IR range of 30 meters, the night vision capability of the Hikvision should be more than adequate for most applications. Even at the extended, maximum range, the captured images are clear. Setting up is not too much of a hassle – download the configuration tool called the SADP (this is for both Mac and PC), follow the instructions and you’re done. There are also unlimited firmware upgrades available from the Hikvision USA website. From my research, it seems like the Hikvision DS is a superb surveillance camera unit but with one major drawback – avoid buying the Chinese version. They not only look shabby physically compared to the US versions but there has been much negative feedback about not being able to upgrade the Chinese version’s firmware. The captured images are of superior quality and the range of motion and coverage of the camera turret more than enough for typical requirements. Because it is mounted vertically, the camera inherently has better shelter (weather protection) than wall-mounted units. Take time to certify that the Hikvision DS you purchase is a US model and avoid hassles by inadvertently purchasing Chinese clones. The protective dome of the camera turret also requires regular cleaning because accumulated grime greatly affects image clarity when on the infrared mode. For ease in regular cleaning, mount the camera where it is easier to get to. Finally, you must have a little bit of a handyman in you because the mounting the hardware takes some doing. Nothing good comes easy. There are so many positives for the Hikvision DS that they far outweigh the negatives. Verify that your purchase is a US product and avoid firmware upgrade hassles. 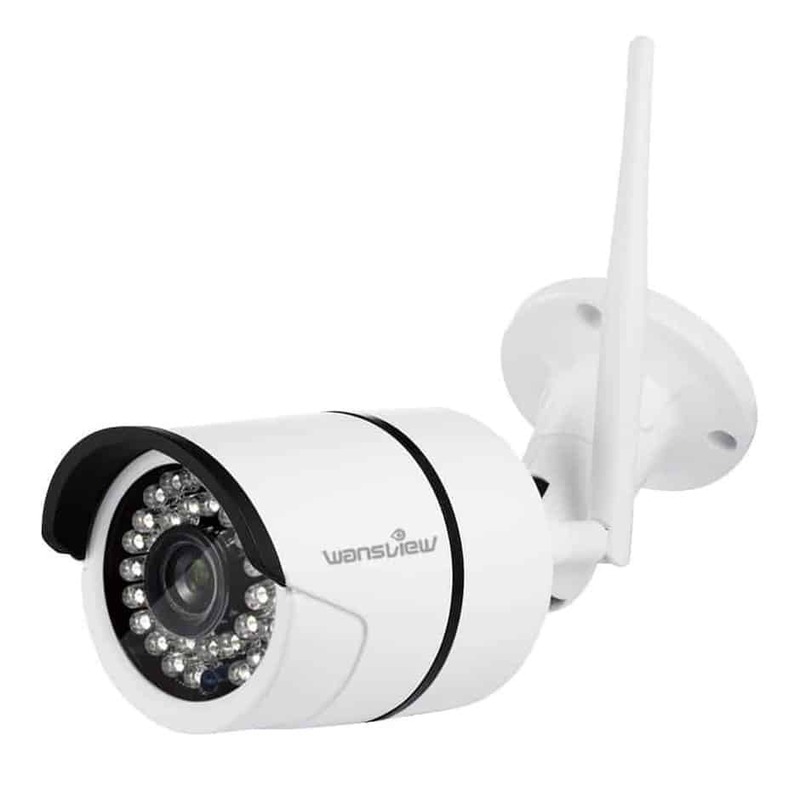 At first glance, the Wansview Outdoor security camera looks like a well-built bullet-type camera. Boasting an aluminum body with a protective white coating, it actually is. However, the shortcoming in design efficiency was obvious to a trained eye like I have, for the WiFi antenna mount restricted panning the camera to the far right (as one looks at the camera face). Nitpicking? Not really, attention to details is what puts any excellent piece of equipment together. While the camera is rated to be weatherproof with an IP66 rating, only the housing is actually safe from being waterlogged; the port connectors and the reset button need to be either sealed with silicone or a special shroud fabricated to keep them dry. Anyway, a way has to be found to prevent water from seeping into the connectors because the camera is not battery powered. The lens that comes with the Wansview is 3.6mm - a deliberate compromise to keep manufacturing costs down. Flagship surveillance cameras typically use 2.8mm lenses which have a much wider field of coverage at about 130 degrees. The Wansview lens only covers a 90-degree field of vision which is 40 degrees narrower than higher-grade surveillance camera units. However, a 90-degree coverage is suitable for most applications and the clear images generated by the 720p HD camera is a saving grace. Thirty six infrared LEDs enable the Wansview security camera to generate high quality images even in very low light. Captured images as far as 67 feet are acceptably clear. The camera also has a multiview function that can be manipulated through the Wansview app and live streaming over a smart phone, PC or tablet. Installation is fairly easy – after accomplishing the physical installation, download the Wansview app, plug in the adaptors, connect to the Wifi and then add the camera. After accomplishing the previous steps, you can view the camera on line. The most attractive feature of this camera is cost; at under $40, it will be extremely hard to find a similar surveillance camera with similar features for the price. The camera is well built as well and the aluminum body precludes corrosion even when exposed to the elements. Finally, the Wansview is very easy to configure. The cords are second rate and the reset button should have been built into the camera housing instead of being mounted at the end of a cord that is exposed to the elements. The antenna mount restricts the pan adjustment of the camera housing. Would I recommend the Wansview Outdoor security camera? Yes I would. The surveillance camera is well built and visually appealing. Its ease of installation is a definite plus and remote viewing through iOS, Android mobile devices, Apple Mac system and Windows PC adds more weight to the appeal. Finally (and for many the most important consideration), a surveillance camera that packs all the important features and retails for around 40 bucks must be considered a bargain. At first glance, the Dericam Outdoor Security Camera seems to share the same appearance as several other surveillance cameras on the market. The shroud above the lens face, the tubular bullet shape and even the WiFi antenna share similarities until you notice the innovative mount that gives the Dericam 360-degrees of adjustability. The camera’s mount is a full-motion ball and socket type, unlike most other units available. Other outdoor surveillance cameras provide a slot for MicroSD cards but require the disassembly of the units to install the cards. The Dericam anticipated the potentially tedious (and potential buyer turn off, by the way) exercise and provided a very accessible card slot at the bottom of the camera housing. The external memory slot will handle up to 128GB. A 4mm glass lens is mounted on the face of the camera and covers a 90-degree viewing angle. It has 1920 x 1080p resolution at 30fps. The lens is surrounded by 36 LED infrared lenses which captures clear images all the way out to 98 feet even on very dark nights. Customer feedback on image quality is positive; with most satisfied with the clear, crisp images the camera delivers. The Dericam did not skimp on the length of its cables and at 5 feet, allows through-the-wall installation with a few feet to spare. However, the hole required for the cable cluster to go through is almost an inch and if you do not have a 1” hole saw handy, installation can be tedious. 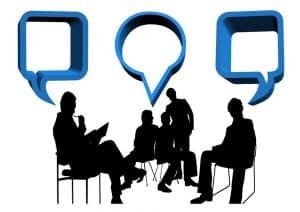 Once the physical installation is hurdled, activating the Dericam is a breeze with many owners giving good reviews about how easy it is to learn the straightforward and simple App interface. When you get your surveillance camera up and running, it can be accessed via smart phone, PC, tablet and is compatible with different WEB browsers such as Firefox, Safari, IE and Chrome. There are 4 zones of motion detectors and the sensitivity of each quadrant can be individually adjusted for sensitivity. When the motion detector is triggered, it sends out push notifications and email alerts to the user’s iOS or Android device. After thorough research, I found out that the motion detector on the Dericam cannot be desensitized enough because insects flying in close proximity to the camera face sets off the alarm. Other than that small shortcoming, the Dericam seems to be a solid buy for the money. The straightforward and simple App interface will appeal to many potential buyers and the clear images taken under daylight or night conditions is another appealing feature. At under $65 retail, the Dericam definitely delivers a big bang for the bucks. As an afterthought, I’d like to add that Dericam’s customer service is excellent. Mounting the camera unit on a wall is a bit tedious because of the size of the hole (almost an inch) required for the cable cluster to go through. The camera has some issues with blurred images when trying to capture fast moving objects and the motion detector sensitivity at night is spotty, oftentimes triggering alerts for inconsequential movements. There are also a few software issues that need to be addressed. The positive features of the Dericam far outweigh the negative ones. Clear images captured whether in daylight and or night mode are definitely points for the Dericam and the ease of installing a MicroSD card adds a few more positive points. The real deal, however, is its very affordable price. For the Dericam, the positive features far outweigh the negative ones. Among the many cameras that sell at a mid-range price, the Hikam exerts effort to stand out. The bullet design of its metal camera housing is practically a clone of many other brands and the mounting hardware quite similar as well. What makes it visuallly stand out among the rest are the two “horns” of an antenna. As you look into the camera’s face, the “horn” on the right is for WiFi and the “horn” on the left is a 433MHz radio communication antenna. The Hikam is also IP66 certified and built to withstands increment weather. Hikam provided for an internal SD slot (up to 128GB) which can be accessed easily on the bottom rear end of the camera housing. The SD card is not provided with the package. The jack for the built in one-way microphone is also mounted at the rear of the camera. The microphone picks up noise emanating from intruders and not meant for 2-way communication. The 960p (1280 x 960) camera captures clear images for both daylight and nighttime and the infrared LEDs provide clear images as far out as 50 feet with an 80-degree field of vision. Customer product feedback indicates that the camera’s motion detector is hard, if not impossible to calibrate. Hikam advertises its security camera to be equipped with “intelligent human detection” - as such, it is supposed to filter out movement of smaller mammals like rats, cats, dogs and even swaying branches. To get around the motion sensitivity calibration problem buy an accessory motion sensor. Anyway, when the alarm is triggered, the surveillance unit automatically sends out push notification and email to the smart phone. As long as there is a WiFi connection, a smart phone can connect to the Hikam to access videos. 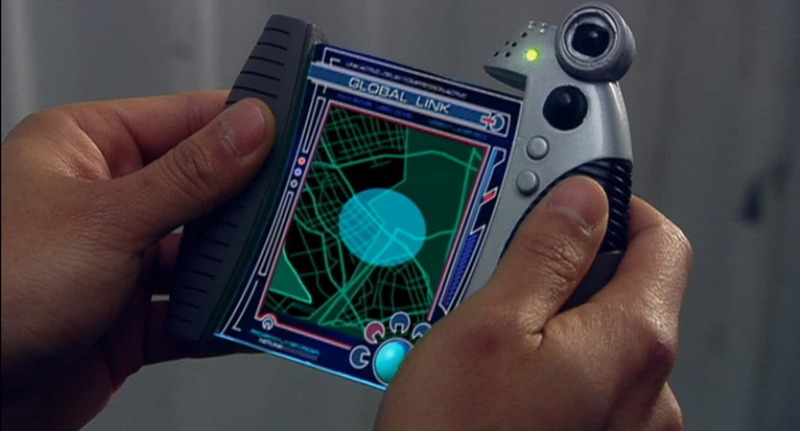 The unit also supports iPhone, iPad, Android, Window PC and Mac. Despite some shortcomings, the Hikam’s innate potentials still makes it a viable choice for your home security camera. The Hikam outdoor security camera is easy to mount and internet set up just as easy via the Ethernet cable. The excellent daytime / nighttime vision add to its positive features and the easy access by smart phone or PC further adds appealing features for potential buyers. The clincher is the Hikam’s retail price which surely fits everyone’s budget. Not being able to download videos to a smart phone is considered a sin in the surveillance camera world so this lack is a glaring black eye for the Hikam.. This camera is also quite hard to connect to other apps and the motion sensors cannot be calibrated such that mere insects set off the alarm. Would I recommend the Hikam Outdoor Security Camera? Of course, I would: for one thing the price is great and customer support always willing to provide assistance. Overall, not asking too much of this capable unit is the way to go. The ultimate bottom line is adequate security and the Hikam security camera will provide you with that. 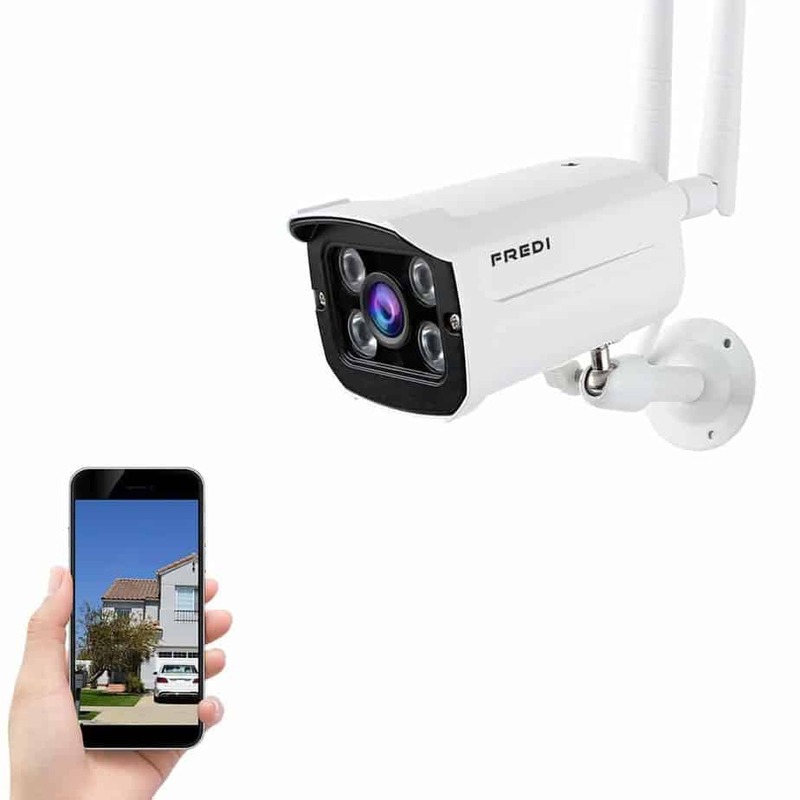 The FREDI Wireless Security Camera belongs to the varied array of bullet cameras except that the aluminum shell of this unit isn’t tubular but a white-coated semi-boxy housing. 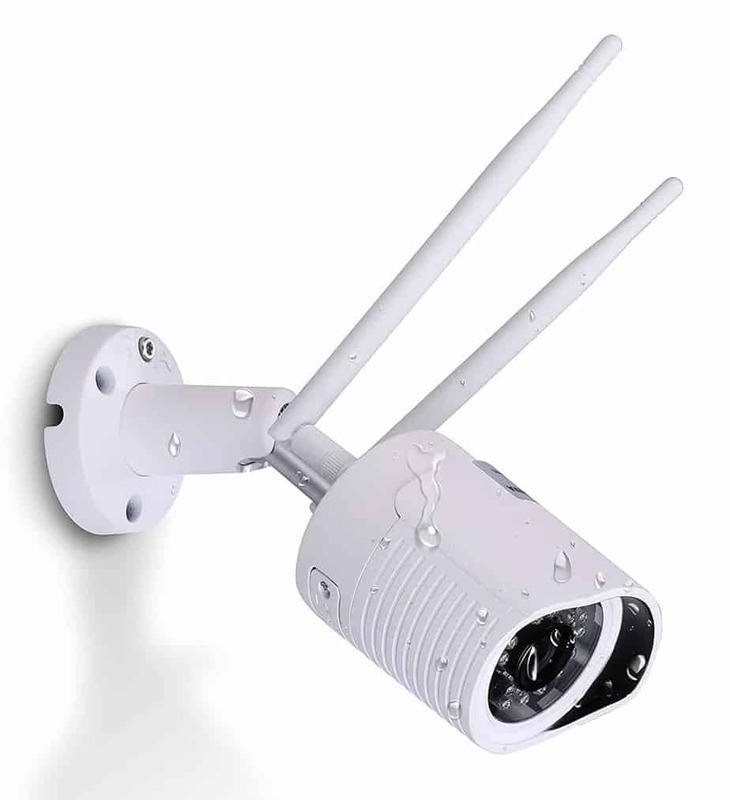 It sports 2 antennas and the swivel mount definitely looks like the universal, generic kind generally used for lower-priced surveillance cameras. The hardware for the manual tilt and pan adjustments seem generic as well but are good enough for the purposes of this surveillance camera unit. The camera housing is IP65 certified and tests have proven the camera housing to be weatherproof. The camera has a 3.6mm 720p HD lens. The lens provides a fairly wide angle of vision at 80 degrees and from the positive aggregate feedback of FREDI owners, both daylight and nighttime images captured by the FREDI camera are very clear. The 4 pieces of IR LEDs seem to capture good images at night even as far out as 98 feet. Mounting the surveillance camera unit is quite easy but the network cable that comes with the camera unit is a little short at just one meter long and purchasing extensions may be in order. The general feedback among FREDI security camera owners is that the WiFi is easy to set up using the FRP2P App. That is a positive feedback because the majority of users are not too well versed in electronics and/or computers. Anyway, once the unit is installed, your smart phone, tablet, PC, and other compatible devices can immediately access live footages. For penny-pinching reasons, most of the security camera units sold right around the $50 mark have issues with motion sensors. The FREDI surveillance camera is no exception. In instances when the motion sensor is set off, push notifications and emails are sent immediately to the appropriate mobile device. 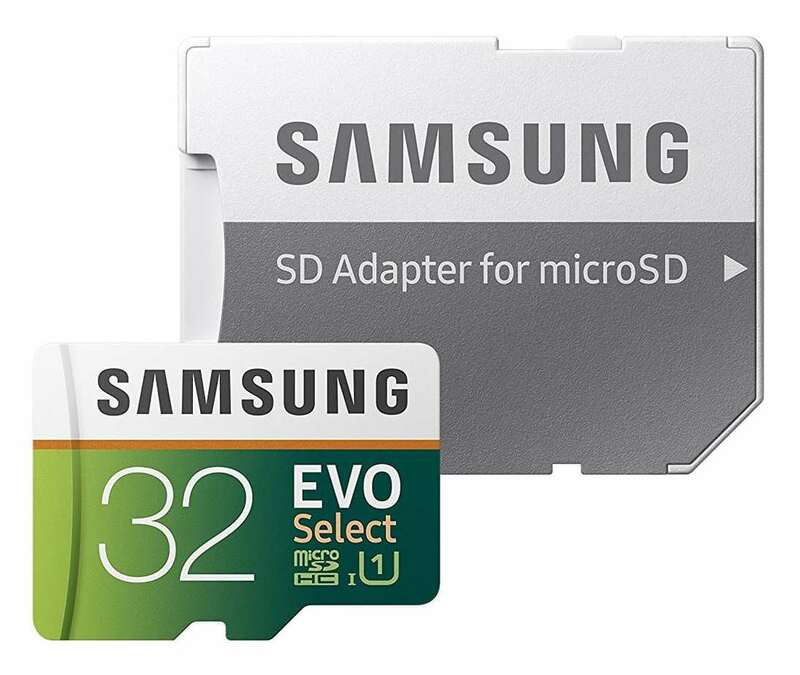 There is a slot provision for an SD card and the unit supports up to 128GB. The camera records directly to the SD card which the buyer has to purchase separately as an accessory. At just around 40 bucks, how can one go wrong with this kind of purchase especially when most users here in The Wired Shopper HQ give it flying colors? The clarity of the images captured whether taken during daylight or nighttime are up to par and the other features match, or approximate, those of higher-end cameras. For the most part, most complaints about the FREDI security camera are about erratic WiFi connections. Complaints range from very short signal range to intermittent transmittals. There are also sensitivity issues regarding the FREDI’s motion detector. One cannot skimp and then ask for the moon in features. That’s how I feel about the FREDI security camera. It has enough positive features that they far outweigh the negative ones. Like all budget cameras (didn’t quite hit the 40-dollar mark), they all have their own unique glitzes but the bottom line is image clarity. The FREDI security camera captures clear images; work out the glitzes with their excellent customer service representatives. If you are a miser, the Armcrest Security Camera is definitely for you. This large security camera with a hexagonal housing is imposing enough to deter an intruder without the unit being turned on! The large circular lens cover is very conspicuous against the camera’s black face and imparts an intense “I see you” message. Behind that imposing lens cover is a 4MP (2688 x 1520p) camera that records at 30fps. The image clarity generated by the Armcrest security camera is heads above other cameras within the same price range. According to Armcrest, using the Ambarella chipset makes all the difference in recording crisp, clear details and the camera has a 118-degree field of vision up to a distance of 98 feet. To protect the camera from increment weather, the hexagonal housing is IP67 certified. To further protect the vulnerable WiFi antenna connector from rain, sleet or snow, the designer added a detachable shroud (roof, if you may) which is secured by a large nut. The Armcrest security camera comes with an onboard 64GB SD card which is sufficient for ordinary video recording requirements but may not be enough for some others. The Armcrest security camera will support Micro SD Cards up to 128GB capacity. The unit also comes with 4 hours of free storage on the Armcrest cloud and has secure SSL/HTTPS connection. The features list indicates a built-in “intelligent digital zoom” which seems to be non-existent. There is no audio feature so you won’t be able to ask the burglar which tool of yours he wants to cringe away with. Motion sensitivity on several viewing areas on the screen may be adjusted individually and when the motion sensor is triggered, it sends push notifications and emails the unit’s principal. The Armcrest software allows for remote live viewing. 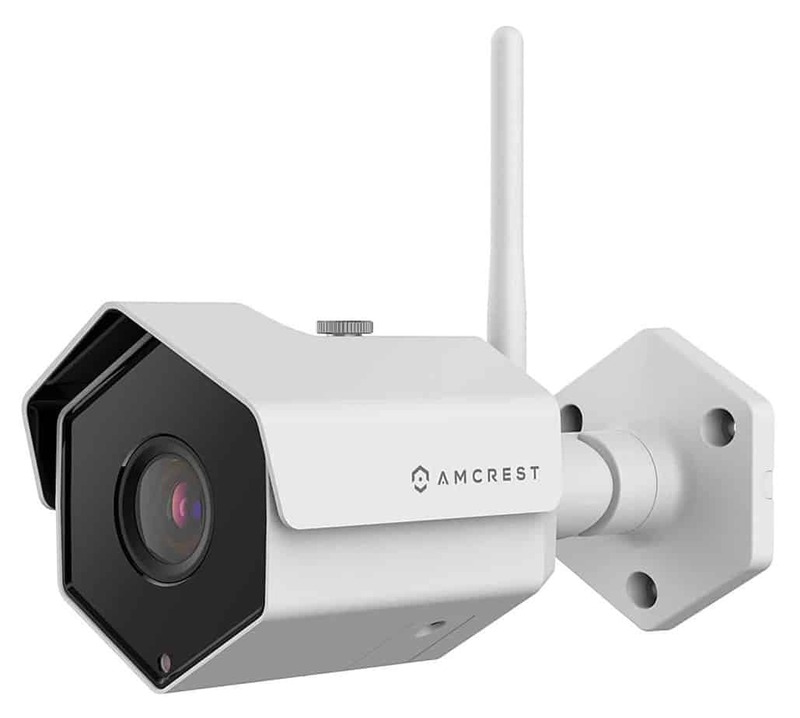 The captured very clear images are one very strong selling point for the Armcrest security camera, thanks to the efficiency of the Ambarella chipset. Compared to other security cameras too, the Armcrest’s imposing, hexagonal housing seems to be built like a tank. The security camera isn’t too hard to install and its software works quite well with computer or phone apps. I would like to add too, that Armcrest has amazing tech support. The Armcrest is lagging behind other popular camera brands in that it does not have an audio feature. The zoom feature leaves a lot to be desired but the most glaring fault (as is true with very many other brands) is twitchy motion detectors. The Armcrest security camera readily gives out false alarms when it is raining (or snowing, for that matter). Remember the saying “if looks could kill”? The Armcrest security camera certainly does that: its size is imposing compared to other “puny” cameras and the glaring, owlish lens cover is so prominent that it is, by itself, a deterrent. Also, if I can see you well, I can almost “hear” you. The images captured by the Ambarella chipset are very clear that it offsets the lack of audio. Buy this security camera – it’s so visually intimidating that you don’t even have to turn iton! Have you ever tried focusing a camera with very limited range of adjustment? Yes, you’re quite right – it can be a big pain in the tush. Well, the Security Wall Mount intends to correct that and relieve you of unnecessary stress. The base is typical to most mounts (circular base, 3 perforations for screws) but the similarities end there. On the neck just above the base is a ball-and-socket mechanism which allows for 360-degree rotation. Set your position and the ball will be compression-locked into place with a winged retainer. At the tip of the mounting stem, the threaded bolt screws onto your security camera; much like how a tripod bolts on to the bottom of a camera and then secured in place with a tightening nut. The Security Wall Mount is cast aluminum and powder-coated white. It is perfect for outdoor use and may be mounted vertically or horizontally (i.e. on the ceiling or wall). The Security Wall Mount is a compatible accessory for either the Arlo or Arlo Pro and works with a variety of other security camera brands with similar configuration. If you are looking for a well-made, sturdy and weatherproof security camera mount, go for this one. Here’s a scenario for you. What if a burglar breaks into your house exactly when you run out of space on your digital recorder? Remember the words that go like this: “an ounce of prevention is worth a pound in cure”? You get the point. 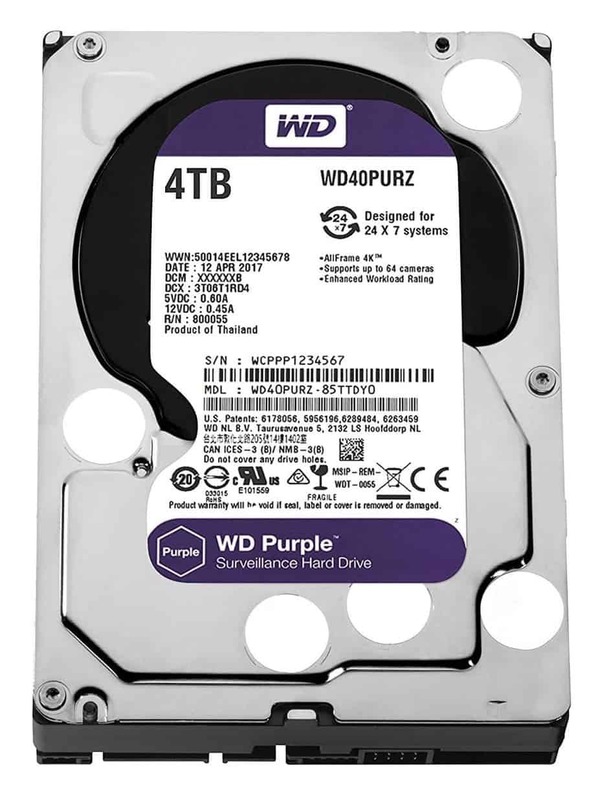 You need ample video recording space and the Western Digital Surveillance Camera Hard Disk Drive will give you exactly that. Fifteen dollars is a small price to pay for a UL2468 listed extension cable…... after all, it is extremely hard to place a dollar figure for fire prevention. 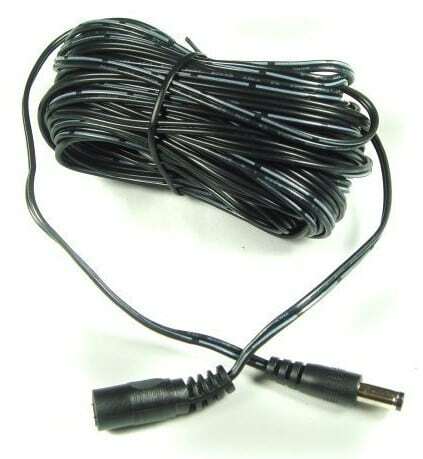 The Hanvex extension cable is a medium duty extension cord with a rating of 20AWG. It is rated at 3 amperes with maximum voltage capacity is 36 volts; meaning, at 48 volts, the extension cord poses a fire hazard. If you plan on purchasing this unit, there are 2 important things to keep in mind. First, that it will mate and only work with equipment with a 2.1mm x 5.5mm barrel plug. This dimension is true for both ends of this extension. Second, this extension cord is 50 (fifty) feet long and power drops in direct proportion to the cord’s length. Again meaning, there’s power loss at the far end of the extension. Make sure your source puts out enough power to compensate for the drop. 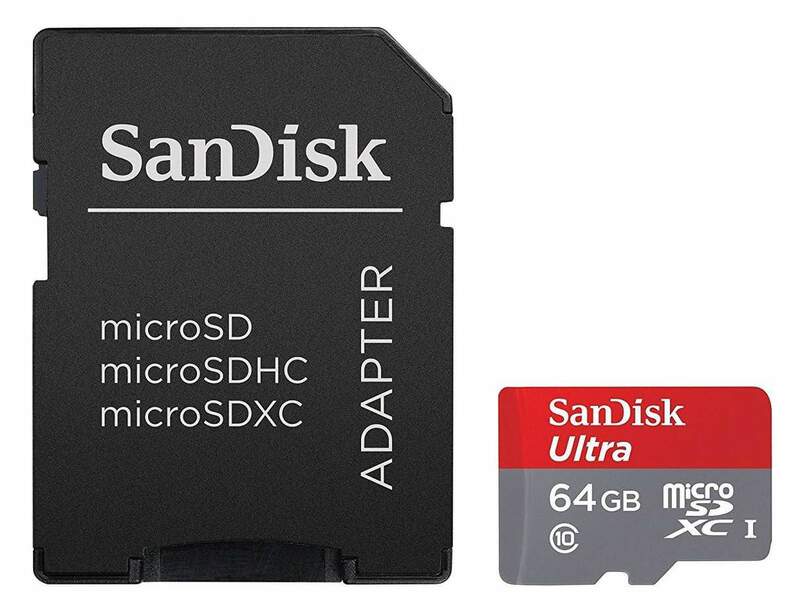 “The proof of the pie is in the eating”; thus it is with the Sandisk Ultra Micro SD Card. It claims to be: waterproof, temperature proof, shock proof, x-ray proof and magnet proof. I’m sure the Sandisk can be all that; depending on the severity of the exposure. Anyway, the Class 10 rating of the Sandisk assures uninterrupted video capture. Its transfer speed rating is 80MB/s which is a tad slower than other brands. This particular Micro SD is rated at 64GB which will record well over 10 thousand still photographs for you and extended video recordings should you decide to mount it on your security camera. It is compatible for use with Android smart phones and tablets as well as DSLR cameras. Performance is all the proof you need from this Micro SD Card. “Same, same”. I hear quite a few people say this when talking about SD memory cards. There some truth to that quip because all of them record sound and images in digital form. Most people forget durability plays a big factor in choosing the right SD card as well as storage capacity and the speed it with which it reads and writes. In this particular case, the Samsung Micro SD Card reads faster than other brands at 95MB and writes at 20MB. Most specs more or less match other brands such as its Class 10 UHS1 rating. Similarly, they all come with full-size adaptors and limited warranties. The Samsung SD card is capable of recording four (4) hours of full HD video, store up to 7500 photographs and if you’re a Videoke freak, it can store up to 3000 songs. The Samsung SD card is durable – a good storage not only for your cherish memories but also for your security outdoor cameras. It has a minor drawback however; it needs to be formatted to work. Security cameras are not as complicated as you think. You start with a lens that picks up an image which is then processed through a chipset that converts it into digital format; after which it is stored in a Micro SD card, a hard disk or cloud. From any of the aforementioned digital storage systems, the stored images may be played back (read) through a compatible software program that converts the digital data into visual images which may be viewed on the screens of mobile gadgets or stationary ones like a Mac or a PC. Why is it called a router? How does a router work? Obviously, we’d say that a router is a device used for routing. But, what is routing? It is when networks are connected to pass or forward IP addresses to each other. Router is the device that directly connects one network to another. The first network it is connected to is the internet. Then, it connects the internet to a local network or a series of local networks. What is “IP-ready” surveillance camera? For the layman, IP simply means digital camera. The dividing line between an IP surveillance camera and an analog one is confusing such that many people cluster them into the convenient term “hybrid”. To explain it in layman’s terms, the image captured by the lens streams in digital form directly to the NVR (network video recorder). The digital data is readily stored in an existing network from where software converts the digital data into visual images which may be viewed on smart phones, tablets or PC. High end digital surveillance cameras have much higher resolutions at around 5 megapixels than its analog counterparts. What is an analog surveillance camera? An analog surveillance camera sends the video stream emanating from the lens through the traditional base band format via a coax or UTP (Ethernet) cable and into a DVR (Digital Video Recorder). From the recorder, it is stored in a hard drive (or similar storage) as rolling video archives. With the images now stored in digital form, software converts it into visual images which may be viewed on hand held mobile gadgets, MACs or PCs. A major drawback for analog surveillance cameras is its low resolution; with the images maxing out at a mere 0.4 megapixels. Should I choose a wired or wireless camera? ​The answer to this question may be answered with one word – convenience. The differences between the 2 systems are negligible and it boils down to which system will serve your purposes best. The wireless systems are run by batteries which may cause problems when the batteries go flat. Conversely, the wired ones won’t work when electrical power goes on the blink. Wireless units may be installed just about anywhere as long as they stay with signal range to the base station; but even this may be resolved with aftermarket signal boosters. The same cannot be said for wired units because of the potentially tedious chore of installing lengthy power wires. The most practical solution is to buy a surveillance camera that is “ambidextruous”; or a unit which can be installed wired or wireless. Can outdoor cameras be used indoors too? Yes, the outdoor camera may be used indoors; but the indoor camera can only be used outdoors under extra preparations like building a special shelter for indoor unit because it isn’t constructed to keep dust and rain out. Really, why go through all that trouble – in cases of indecision, buy an indoor-outdoor surveillance camera. Where can I place the surveillance camera? The answer may sound silly, but it is actually “anywhere”. There are restrictions of course but if something needs to be secured bad enough, an effective way to install a surveillance camera will be found. Wireless surveillance cameras power themselves so there are no power cords to contend with. Should the camera(s) have to be mounted a good distance away from the base station, signal boosters are available as an aftermarket accessory. Extreme installations are rare and for the average user, the basement, garage, attic, the treehouse (if you have one) can be secured with a surveillance camera as long as the camera can send a signal to the base regardless if you have a wired or wireless unit. ​As a visually striking product, the Arlo Pro 2 wins this product face-off hands down. The ovoid shape of the Arlo Pro camera housing is a good example of excellent industrial design. Of course that in not to say that the Nest Cam’s design is ugly – it was simply outstaged by the Arlo Pro 2 in this particular case. Their capabilities are fairly even in terms of image clarity because both brands installed 1080p chipsets in their camera units. The 130-degree field of vision is identical in both brands and their night vision cameras are at par with either camera approximating the other’s image crispness and clarity. As far as the motion sensor goes, the Arlo Pro 2 takes the edge although by not much. For this surveillance camera showdown, I will pinpoint obvious features one camera has which the other does not. The most glaring gap pertains to versatility. The Arlo Pro can be installed as a wired or wireless unit. To be given the option to choose a specific method of camera installation has to be appealing to a potential buyer. A wireless surveillance camera also gives its owner the freedom to choose where he wants to install his unit and not be physically restricted by the length of the wire. The Nest Cam is not only strictly a wired surveillance camera, the harness included in its package is a tad short. Having to buy extension cords to power the Nest Cam is a potential customer turn off. 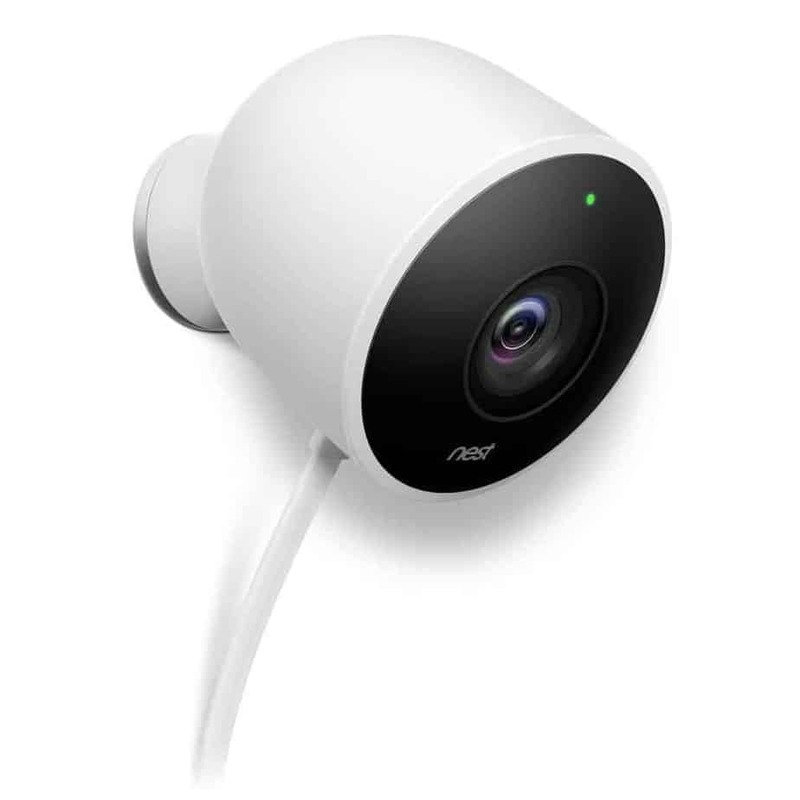 At a cost far less than the Arlo Pro 2, the Nest Cam approximates the former’s capabilities but is handicapped by its short power connector and the large hole you have to punch through the wall to install it. When you purchase this surveillance camera, keep in mind that spending for an extension power cord is more likely than not. There are also issues with unresponsive activity windows and a spotty motion detector. Also, in order to upgrade the performance of the Nest Cam security camera, you must subscribe for functionality and features like cloud storage through NestAware. But on the whole, the Nest Cam performs well enough that it appeals to the budget-conscious consumer sector. Cost of acquisition may be the final deciding factor for these very excellent security cameras. The Arlo Pro is the flagship of this line of security cameras and its retail price reflects that market position. Would a potential buyer settle for a wired unit in the Nest Cam to save money? Yes, tricky questions but I eventually need to make a verdict at the end of this security camera shootout. Comparing the Arlo Pro 2 to the Zmodo outdoor camera is like comparing Ferrari to a Chevy Spark. The former is not only wireless but has so many very functional features that comparing it with the Zmodo seems to me an exercise in futility. There is nothing much by way of comparison. However, a surveillance camera shootout will not be possible if I do not even attempt to point out the stark differences between the two surveillance camera models. The Arlo Pro 2 is a wireless surveillance camera system and the Zmodo is not. Right there lays a huge difference. The Arlo Pro 2 has a wide range of options in terms of locating camera mounting position while the Zmodo installation is woefully limited by the length of its connecting cord. The saying that goes “you get what you pay for” perfectly applies in this case. Out of the box, the Arlo Pro 2 comes with standard features the Zmodo couldn’t possibly have unless it subscribed for it. Summarized, high initial acquisition cost for the Arlo Pro 2 equates to more features with the package. Conversely, low acquisition cost for the Zmodo means paying more for additional features. This security camera shootout is a mismatch. Let me cite several disparate features and we’ll put this showdown to rest. The Arlo Pro 2 has a 130-degree field of vision to the Zmodo’s 81 degrees. Naturally, the 41 degrees not covered by the camera will probably be where the wily burglar will hide. The Zmodo security camera definitely has its own niche among the “not-so-picky” consumer sector. The daylight video images are passable but its saving grace is the powerful night vision it delivers through its 24 infrared LEDs. 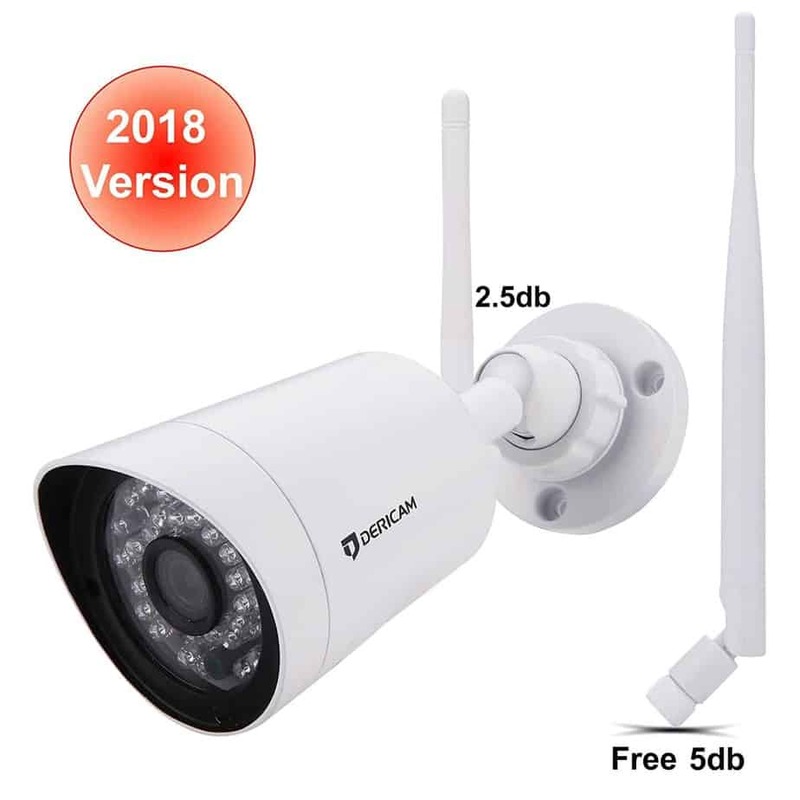 Very good resolution for a “budget” security camera. Typical of lower-end security cameras, any upgrade costs money. Live video streaming is available through the Zmodo App and the size of the video storage requirement needed is proportional to the cost through the Zmodo cloud service. The acquisition cost of the Zmodo security camera is very low but the adding capability features come at a good price. For those who simply want a no-frills surveillance camera, the Zmodo is definitely the way to go. The Arlo Pro 2 comes with a 1080p camera while the Zmodo has a 720p. What the Zmodo recorded as a burglar with a “zorro” mask the previous night, may actually be the same burglar caught by the Arlo Pro 2 owner the other forthnight – the “mask” actually being 2 blackeyes. Get the picture? This security camera shootout is full of old clichés – remember the saying “never mix apples and oranges”? Don’t. Buying a surveillance camera is like buying a jacket. It has to be tailor-fitted to the owner (user). The Arlo Pro 2, the Nest Cam and the Zmodo are disparate “jackets” and each will fit in with its own particular clientele niche. 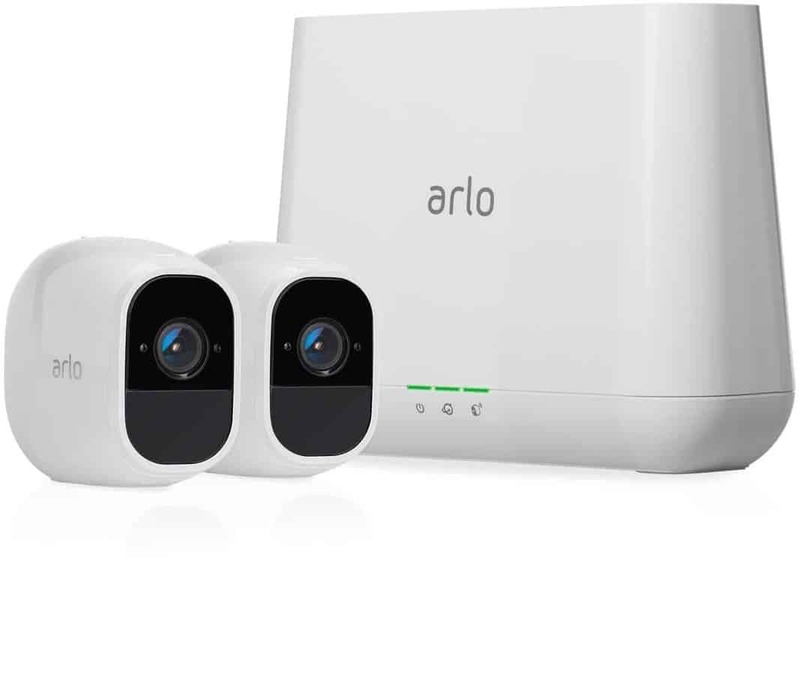 The flagship Arlo Pro 2 delivers all the goodies as far as features go and would naturally cost more to purchase. The Arlo Pro 2 is wireless while the other two security cameras systems are not. The wireless feature alone is worth the pick for many discerning consumers out there. Packaging is important as well for many consumers and they place a premium on product presentation. The Arlo Pro 2 excels in this department. The stylish ovoid camera housing would obviously have been the creation of an Italian designer had the security camera been an automobile. In the industrial design category, the Arlo Pro 2 wins the contest hands down. Then you have the practical consumers who require very little performance from their surveillance cameras and willing to pay for the basics at the least possible cost. For this “no-frills” category, the Zmodo wins the round hands down. What am I trying to drive at here? All three surveillance cameras will capture images, The Arlo Pro 2 and the Nest Cam capture crisper, clearer images than the Zmodo. However, all of them take images that are clear enough to identify whether the intruder is a man or a mouse. In this aspect, they all fulfill the basic requirements of a surveillance camera – to spot intruders. But there’s more than meets the eye. Being a higher end surveillance camera, the Arlo Pro 2 logically has more usable features than either the Nest Cam or the Zmodo. Clearly, the Arlo Pro 2 is the surveillance camera connoisseur’s choice. Buying a surveillance camera is like a dating game – I hope this shootout matches you with your dream security camera.